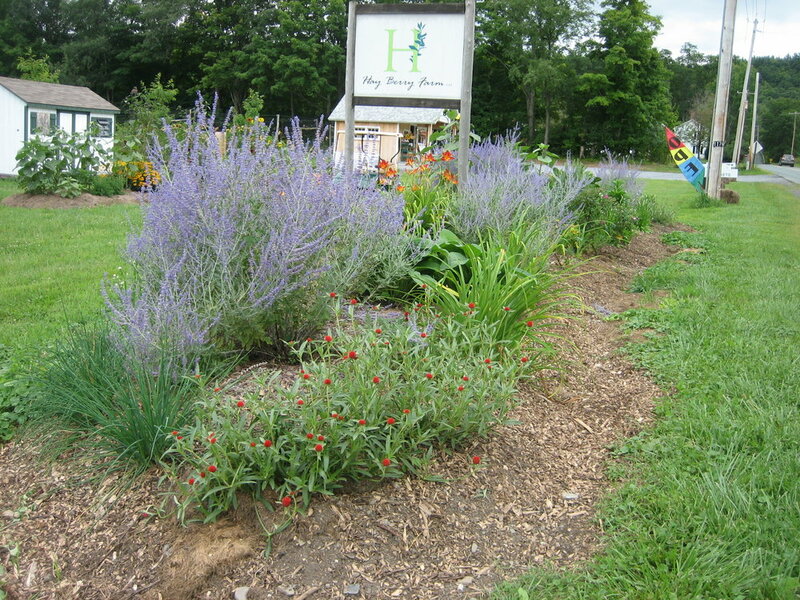 Hay Berry Farm LLC promotes diversity: of crops (berries, lavender, mushrooms, herbs, honey, and hay), of landscapes, and of practices. We serve our community by practicing long-term sustainability. As a you-pick farm, our customers enjoy access to good food at fair prices as well as the simple pleasures of the sights, sounds, and smells of a beautiful, peaceful farm valley. We rely on diversity of plants and landscape as well as mechanical means to maintain healthy plants. We do not use synthetic, toxic chemicals anywhere: in water, soil or on plants. Every year we offer sessions on pruning blueberries and lavender, and as a member of NOFA-NY’s Farmers’ Pledge program, we are committed to (and love to) share our practices with anyone interested in how we grow food. We continuously add to our products and services, and enjoy our connection with this community. Come and visit the farm.